Skye Gravestones | John & Euphemia (Matheson) MacLeod. M. MacDonald. John & Euphemia (Matheson) MacLeod. M. MacDonald. 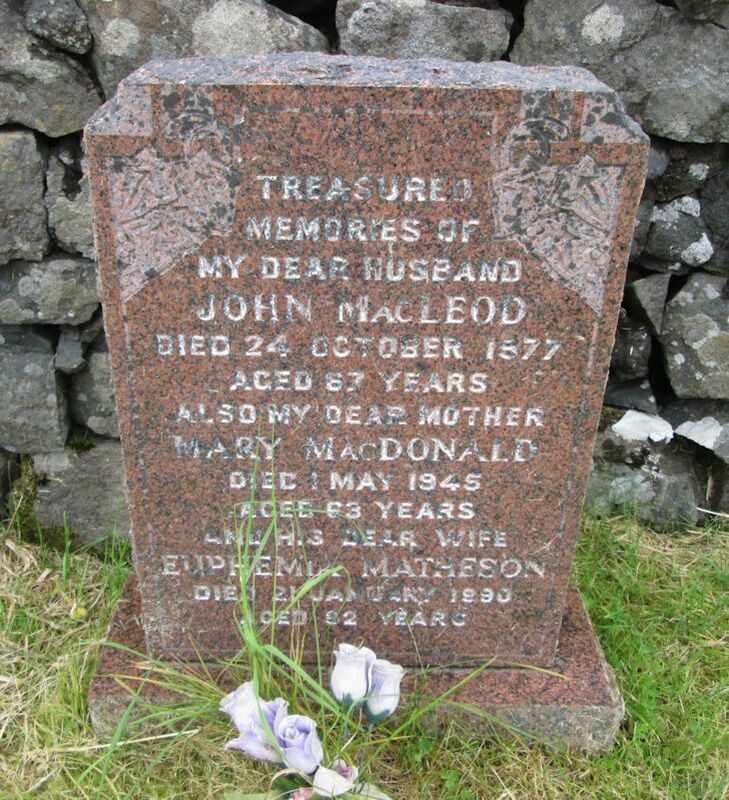 Treasured/memories of/my dear husband/JOHN MacLEOD/died 24 October 1977/aged 67 years/also my dear mother/MARY MacDONALD/died 1 May 1945/died 63 years/and his dear wife/EUPHEMIA MATHESON/died 21 January 1990/aged 82 years.